Effective presentation skills training provider Time to Market has opened the doors on its new training centre for presentation training in Dartford, Kent. Conveniently located in the city centre with ready access to the M25 motorway and the railway network the training centre is ideally suited to local business needs. This out of town training establishments includes a number of fully adaptable training suites featuring state of the art speaker and training facilities. Located just moments away from the nearby Dartford river crossing and the M25 motorway this business park training centre boasts superb communications links, accessibility and parking. 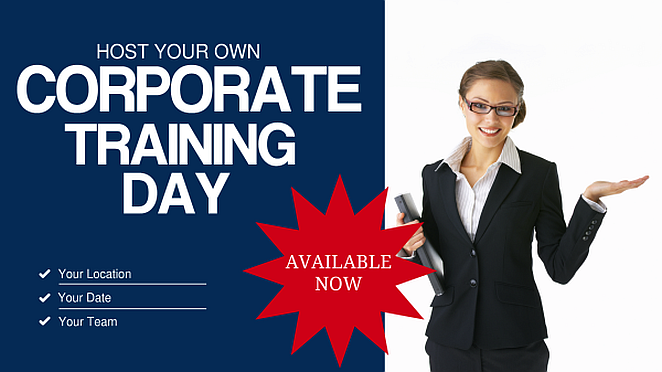 You can train to be a confident presenter with presentation training in Dartford. We offer a range of presentation skills training courses: for you, for corporate teams, for full days or half days. So, there’s something available for all abilities. You can train to be a confident presenter in Dartford. So you won’t need to travel far. Presentation training in Dartford includes full refreshments and lunch during the day’s session, expert help and advice and all the training materials you need. 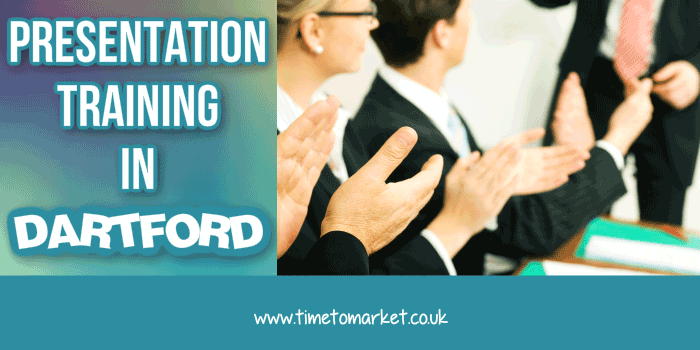 To find out how you can become a confident presenter and improve your presentation skills in Dartford you can contact us now on 01344 859823 or email training@timetomarket.co.uk.